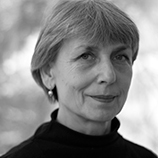 Christel Weiler started her research on intercultural theatre already in the 1980s with a book on "Cultural Exchange in the theatre" about the work of Robert Wilson and Eugenio Barba. Her current interest goes to all sorts and appearances of postmigrant/postcolonial theatre, especially in Berlin. Most recently she organized a workshop with Jacqueline Lo on "Diversity in Berlin" to be accomplished at the Research Center. Christel Weiler is Associate Director and Program Manager of the Centre for Interweaving Performance Cultures. In the frame of the Theater Olympics 2016 in Wroclaw the European Theatre Perspectives symposium (ETP) offered a forum dedicated to exploring new channels for cross-cultural dialogs and engagement in performance, bringing together practitioners and researchers working in different regional, linguistic, and disciplinary contexts. Among the participants – consisting of many former IRC-Fellows as well as IRC-director Prof. Erika Fischer-Lichte – Christel Weiler spoke about “The Art of Encounter” elaborating her thoughts on how theaters in Germany reacted to the refugee crisis. She especially describes her experience with the latest production of former IRC-Fellow Nora Amin. For those who couldn’t be present, we share her paper with you. Under the title "The presence of the elsewhere in the now" ("Die Gegenwart des Anderswo im Jetzt"), the festival "Theaterformen", which took place in Braunschweig/Germany in June 2010, devoted a full weekend to debating issues of colonialism and racism. Within the context of this colloquium, which opened up diverse, partly conflicting perspectives on the topic’s complexity in talks, debates, performances and video installations, a dramaturgy of heterogeneity allowed visitors to carve their own itinerary amongst people and things. The following considerations should be understood as an initial ex post mapping of an individual path through events. In the process, lines are of necessity drawn to reading and theatre experiences that were and are relevant at other times and in other contexts.